Receive the guidance you need for your tax planning when you work with Tyler W. Payne, E.A., NTPIF. Mr. Payne focuses on state and federal income tax preparation and financial planning with an outstanding reputation of successful IRS tax resolutions. His tax firm in Jacksonville, FL, represents clients facing audits, tax appeals, and tax collection actions before the IRS. Additionally, as an enrolled agent, Mr. Payne is qualified to represent clients with the Taxpayer Advocate Service (TAS) as well as with audits and appeals to protect the taxpayer's rights and to reduce taxpayer burden, which have resulted in numerous positive outcomes and overall, extremely satisfied clients. 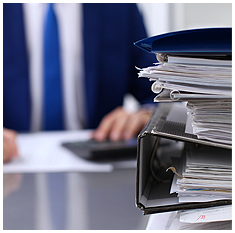 Schedule a free tax consultation today to come to the right resolution for your situation. With more than 40 years of experience in the industry, Mr. Payne has the knowledge needed to provide top tax solutions to every individual. His experience includes owning and operating a successful accounting and tax firm, as well as working for CPA firms in both Jacksonville, Florida, and Savannah, Georgia. He is enrolled to practice before the IRS and is a proud member of the National Association of Enrolled Agents and the First Coast Chapter of EAs, Jacksonville, Florida. Tyler W. Payne, E.A., is licensed to offer taxpayer services not only in the state of Florida, but he can represent clients nationwide and resident aliens in foreign countries. Tyler W. Payne, E.A., emphasizes a proactive approach with clients that continues after the conclusion of tax filing season. This tax plan [link to https://www.twpaynetaxes.com/tax-plan.html] allows clients to manage future savings, deductions, exemptions, tax preferences, and income recognition. He also provides guidance in financial management for new business startups and business consulting. His clients include individuals, couples, families, corporate professionals, and small business owners. Turn to a licensed professional for your tax solutions when you consult with Tyler W. Payne, E.A., NTPIF. Mr. Payne serves as your voice at the IRS. He has earned the privilege of representing taxpayers before the Internal Revenue Service by either passing a three-part comprehensive IRS exam covering individual and business tax returns or through experience as a former IRS employee. Enrolled agent status is the highest credential the IRS awards. Individuals who obtain this elite status must adhere to ethical standards and complete 72 hours of continuing education courses every three years. Contact Mr. Payne in Jacksonville, Florida, for top tax services for your needs. Mr. Payne is enrolled to practice for clients nationwide.